If music students wish to attend this along with the our orchestra, they need to fill in the permission form at http://chisnallwoodmusic.org.nz/nzso-trip/ by Monday. We have a fantastic saxophone opportunity at Chisnallwood next week!!! Sam Jones, an ex-Chisnallwood student and now in his 3rd year of university classical saxophone has arranged to have the entertaining and accomplished Hanumi sax quartet perform at Chisnallwood next Wednesday in assembly then stay on and give masterclasses from 3-5pm. 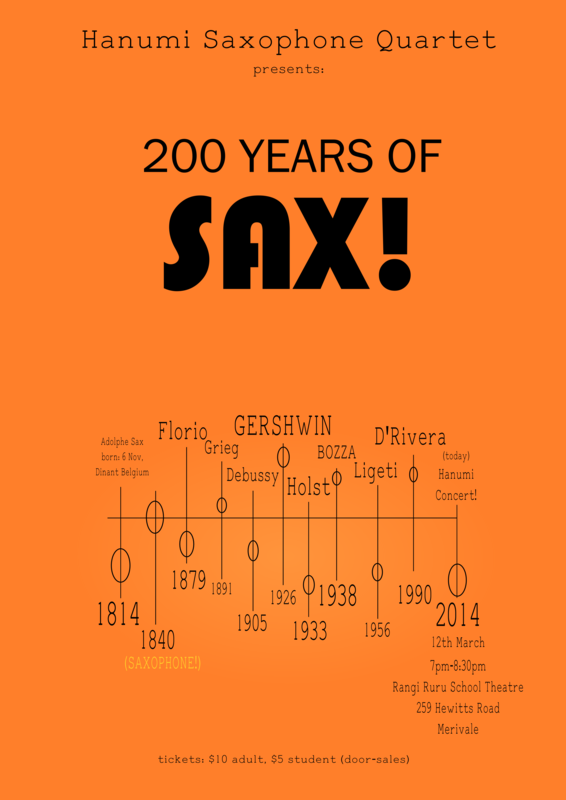 The masterclasses will be open to all sax students in ChCh, so if you are keen to play at this I’d recommend registering soon so you don’t miss out. It is nearly full for performers but there are still plenty of spaces foe observers. They also have a public concert at night at Rangiruru before leaving ChCh. 3-4.45pm masterclasses at Chisnallwood (see registration website for costs). I would encourage sax students to at least be an observer at the masterclasses as you will learn a lot! Any advancing instrumentalists or singers who wish to audition to be part of a special representative group at the ChCh Schools’ music festival in October - such as orchestra, concert band or senior special choir – please read the audition and rehearsal requirements at musicfestival.school.nz, get a code from Mrs Bell then register online at musicfestival.school.nz . Applications to audition close on April 4th with no late applications accepted. 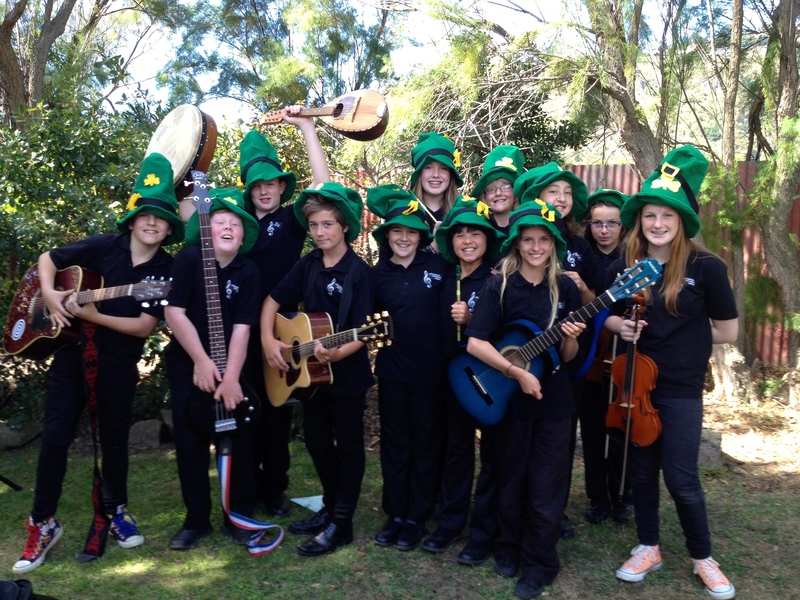 The Chisnallwood Irish Band played at Ferrymead Heritage Park as part of Streets Children’s Day on Sunday. It was a huge event with well over 10,000 people at this free event. Our group finished off the day with their half hour set all introduced by Olivia who had researched the songs. It was great to have two students from last year’s band, James and Claudia, come back and perform alongside some of our students who have only joined this year. It was lovely to see young audience members dancing along to the music.